It’s August, which means that many of Europe’s Perl programmers will be looking forward to their largest annual conference. This year YAPC Europe takes place in Kiev, Ukraine from 12-14th August. Let’s take a look at what’s in store for the attendees. People will start to congregate on Sunday 11th. Some of the early arrivals will be there for the Perl 6 hackathon which will be taking place during the day. Others will just be aiming to be there in time for the pre-conference meet-up – which is always a good opportunity to catch up with friends that you haven’t seen since the last conference. The conference itself starts on Monday 12th. The important business starts immediately with the announcement of the venue of next year’s conference. That’s followed by Larry Wall’s keynote. After a coffee break I’m giving a talk about Perl’s first 25 years. After that, the conference splits into three tracks and, inevitably, talks will clash and you won’t be able to see everything that interests you. I think I’ll see Salve Nilsen talking about the ‎Grassroots community, but Aaron Crane’s talk on Redis is also pretty tempting and the only reason I’m not going to see Léon Brocard’s Syncing social media and feeds with IMAP‎ is because I saw him practise it at a London.pm meeting a couple of weeks ago – it’s a really interesting talk. 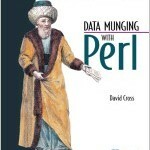 After lunch, I’m planning to see Jon Jenson’s ‎Adventures in Perl packaging‎, because that’s an area I’m particularly interested in, but the other talks look just as interesting. Later in the afternoon Herbert Breunung’s Perl 6 OO vs. Moose‎ sounds fascinating. Monday will end with the first unmissable session of Lightning Talks. First thing on Tuesday, Zefram will be talking about API design, using DateTime as a counterexample. Knowing Zefram’s opinions on DateTime, that’s going to be well worth seeing. Over the next two sessions there are two talks about Dancer which were very tempting, but I think I’ll be seeing DrForr on DevOps and Curtis Poe’s talk Agile Companies Go P.O.P. In the next session, I’d recommend Tom Hukins’ talking about logging. Luckily, I’ve already seen it, as I’m speaking at the same time about Matt’s PSGI Archive. After lunch there’s a big clash for me. I’m torn between Vyacheslav Matyukhin talking about Questhub and Leon Timmermans talking about Module::Build (or, rather, his replacement for Module::Build). I probably won’t decide between them until the last minute. The afternoon finishes with Matt Trout’s annual State of the Velociraptor talk and another session of Lightning Talks. Both of these will be essential viewing. But that’s not the end of the day. This is the evening of the traditional conference dinner – which this year takes the form of a river cruise. Later in the morning, Peter Rabbitson’s SQL metaprogramming – non-ORM uses of DBIx::Class‎ sounds interesting. And also Zefram is back with more time pedantry in Why timezones are difficult‎. After lunch, I’ll be listening to Alex Balhatchet’s talk on Growing a Perl team and Kersten Puschke talking about oEmbed – a technology I feel I need to know more about. In the final session I’ll be torn between Curtis Poe’s Testing with Test::Class::Moose‎ and Smylers’ ‎A Survival Guide to Handling Contributions from Non-Techies‎. Then there are a few more Lightning Talks and some closing business. And that will be that for another year. As always, it looks like it’s going to be great conference. I hope to see you there. If you see me, then please come up and say hello.